This kit allows you to quickly plumb the INOUT Overflow and Return System to your sump and return pump. The black tubing keeps things looking clean and does not allow algae to grow in the tubing, that could cause a flow restriction. The tubing will directly attach to the molded barbed fittings on the overflow box and then can be directed down into your sump. 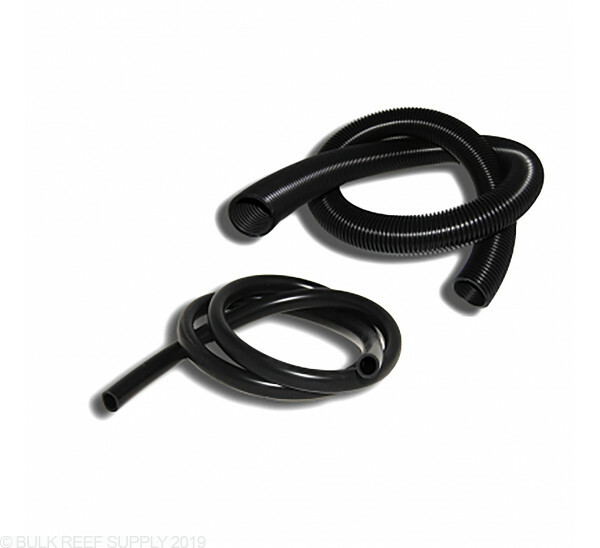 The return tubing will require a barbed fitting to connect to your pump of choice and the drain tubing can be placed directly into the sump. Note: The return hose is packaged inside of the drain hose.